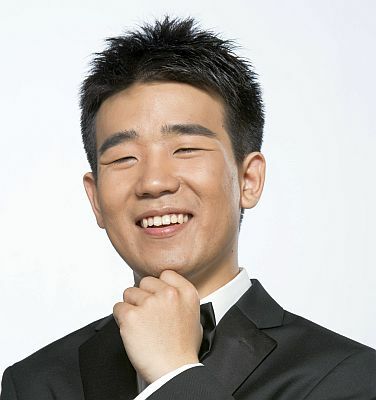 Praised by the New York Times for his “revelatory” performances, and by the Toronto Star for his “technically flawless, poetically inspired and immensely assured playing,” fortepianist and pianist Jiayan Sun has performed with the Cleveland Orchestra, the Hallé Orchestra, the Chinese and RTÉ (Ireland) National Symphony Orchestras, the Fort Worth and Toledo Symphony Orchestras, the Toronto and Aspen Concert Orchestras, and the Suwon Philharmonic Orchestra, and he has conducted from the keyboard the Meiningen Court Orchestra. Under the mentorship of Sir András Schiff, he was invited to give a number of solo recitals in Europe as part of Schiff’s “Building Bridges” project for the 2017-2018 season. In addition to capturing major prizes in Leeds, Cleveland, Dublin and Toronto International Piano Competitions, Jiayan Sun has given critically acclaimed performances as a fortepianist and harpsichordist, including appearances with the American Classical Orchestra in Alice Tully Hall. Other important engagements include performances at the Chamber Music Society of Lincoln Center and the Westfield Center for Historical Keyboard Studies at the Cornell University. He recently adjudicated the inaugural Sfzp International Fortepiano Competition in New York. He has studied harpsichord with Lionel Party and fortepiano with Malcolm Bilson and Audrey Axinn. Hailing from Yantai, China, Jiayan Sun is a doctoral candidate at The Juilliard School under the tutelage of Yoheved Kaplinsky and Stephen Hough, with additional studies with Richard Goode and Robert Levin. As the Iva Dee Hiatt Visiting Artist in Piano at Smith College, he is presenting Beethoven’s complete piano sonatas chronologically in a series of eight recitals in the 2018-2019 season. This is Mr. Sun’s second appearance on the Historical Piano Concerts series. For more information, please visit jiayansunpianist.com .